We provide comprehensive consultancy services for this expanding sector including master planning, facility design, asset condition assessment, cost estimates and integration of landside and air side facilities. We were the Global Technical Advisors to the Airports Authority of India and also have advised private clients in the development of airport projects. We have a team of experts with vast experience on all aspects of airport development. 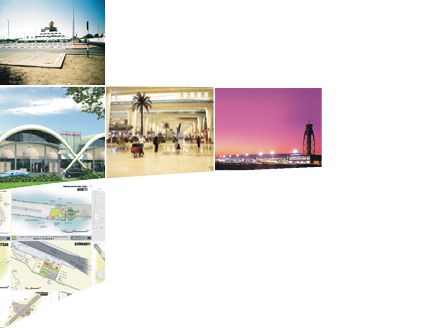 Our expertise range from designing the acclaimed New Delhi International Terminal to the development of smaller non-metro airports of which we have designed over 20.